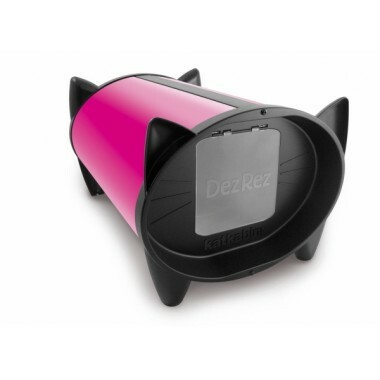 The KatKabin DezRez in calm and idyllic ‘Chocolate Brown’ for the cat who likes to me..
What every Purrrrrfect Princess desires... the fabulousKatKabin DezRez in ‘Hot Pink’ .. If your cat likes to hide away in the garden then the 'Garden Green’ KatKabin Dez.. Choose the KatKabin DezRez in ‘Royal Blue’ for your cool and confident darling. This .. The KatKabin in invigorating ‘Starlet Red’ creates a sense of space and colour in you..